Designer. A simple, personal, home urine test. Current solutions for urinalysis are cumbersome and not precise. The manual reading of a change of color at a specific time and with different lighting conditions is a challenging task. 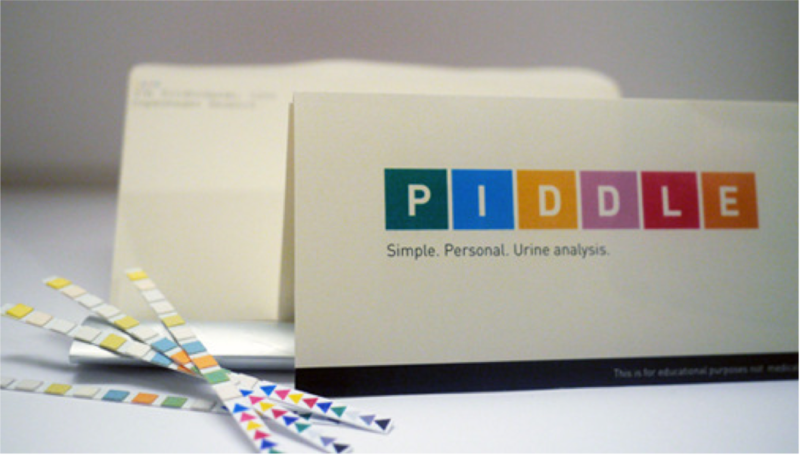 Piddle guides you through the process of urinalysis testing. Urinalysis is the cheapest and most ubiquitous form of diagnostic test used globally. 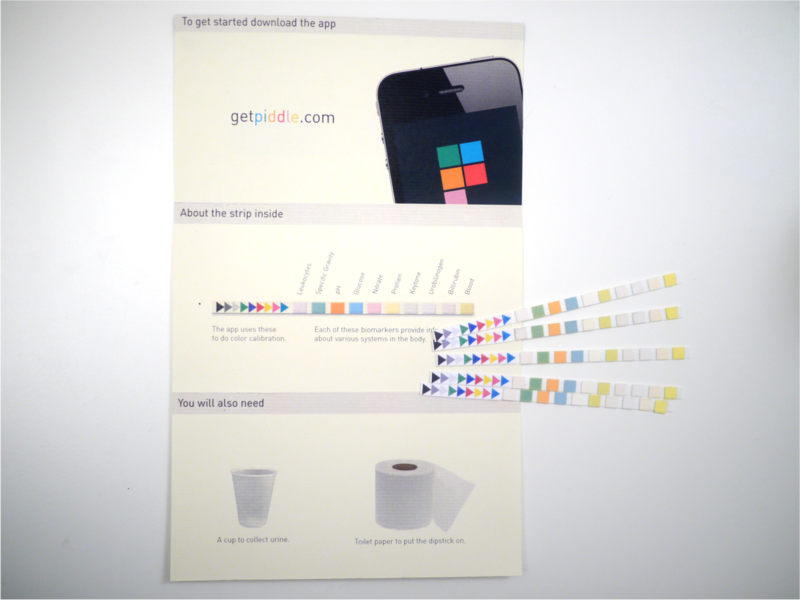 Piddle is a urine dipstick pack and a smartphone app that guides the user through the test and uses the camera to provide quantitative results. 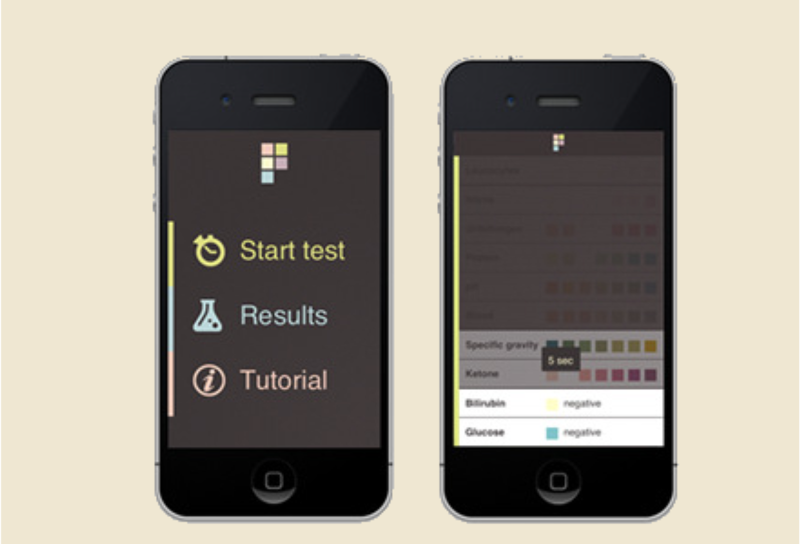 The app experience explains the meaning of each result and shows how your values fall within normal ranges. The results are could be used for longitudinal tracking or in the moment testing. Urinalysis is a routine test for prenatal care - there are 4.5 million pregnant women per year in the US. Over 40% of pregnant women have UTI’s with 80% recurrence rates. Up to 10% pregnant women get gestational diabetes, and in 2 – 8% of pregnancies worldwide women develop preeclampsia. This the leading cause of prenatal mortality and morbidity. An estimated 225 million urinalyses are performed in the United States each year. The urine chemistry market is estimated to be $500 million per year.